Sheet Size: 26" x 21"
The Doolittle Raid on Tokyo; B-25 Mitchell bombers launched from their carriers and flew to Japan. There, they struck at the homeland of the Japanese Imperial Empire. It was a raid that inspired headlines around the world and boosted the morale of every USA citizen. These brave men, some of whom gave their lives for this mission, will forever be remembered as heroes. 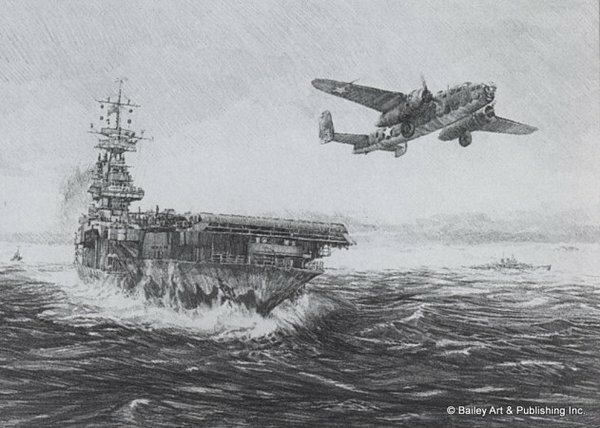 Eight Doolittle Raider survivors have signed this print.